Nearly two-thirds of motorcycle accidents occur when the driver of a larger vehicle fails to see a biker resulting in side-swipe accidents, right-of-way-accidents, and other dangerous situations. If you or a loved one has been injured in a motorcycle accident due to the fault of another driver, contact the experienced motorcycle accident lawyers at Hauptman, O’Brien, Wolf & Lathrop, P.C. today. We have served victims of motorcycle accidents for years and are aware of the struggles they encounter in the claims process. We will fight for you and work to ensure that you are treated fairly. The evidence gathered, and its quality will have a large impact on your motorcycle accident case. We will collect evidence on your behalf to make sure that your side of the story is properly detailed and told. Our experienced motorcycle accident lawyers know what it takes to gather evidence and combine what they find to make your case compelling and understandable. Our attorneys will not accept attempts by insurance companies at fabricating the evidence in their favor and will fight their attempts to do so. Relevant medical records in your case can prove to be complicated and often require careful organization and presentation. Our motorcycle accident lawyers have the contacts and resources that are necessary for getting a fair evaluation of your medical records. Once your records are reviewed, our attorneys will work to ensure all relevant findings are presented carefully and clearly. What many accident victims don’t realize is that the goal of an insurance company in a motorcycle accident claim is to settle for as little as possible. No insurance company is acting in your best interest. Our motorcycle injury lawyers know the value of your case, understand settlements that are fair, and will work to get you what is fair. Maximizing your settlement value is what we set out to do when you decide to work with us, and we will do all we can to ensure that this happens. 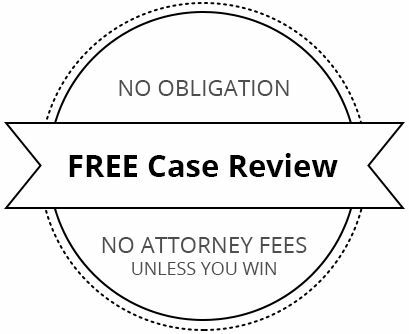 If your case cannot be settled out of court and goes to trial, you can rely on our motorcycle accident attorneys to be there every step of the way in court. Our lawyers have the skills and experience to be effective in a courtroom while defending your interests. We have an intimate understanding of the trial process and know the impact that a motorcycle accident can have on you and your family. We will take this understanding and experience into a courtroom and apply it aggressively to give you the best chance at receiving the compensation that you deserve. Compensation that is paid to the victim of a motorcycle accident is dependent on many factors of the case. Assessing fault in the accident, as well as the injuries sustained is the first step. Once fault is assessed, and injuries are noted, there will be a better idea of what amount of compensation needs to be paid. The negligent motor vehicle driver in the accident. The bike’s manufacturer, if the bike experienced a defect during the accident. The government, if the crash was caused by road conditions that are poorly maintained. The motorcycle dealership, if the bike was sold with a defect that led to the accident. Although many accidents that involve motorcyclists are not caused by the motorcyclist themselves, there remains a bias against them resulting in unfair treatment by those involved in the accident, law enforcement, and insurance companies. The motorcycle lawyers at Hauptman, O’Brien, Wolf & Lathrop, P.C. understand how unfairly motorcyclists can be treated in their cases. We will stand up for your rights so you can receive the compensation you deserve for your injuries. The injuries caused by a motorcycle accident often require the biker to receive immediate medical attention and endure extensive rehabilitation. In some cases, these services may prove to be insufficient in returning a person to normal. Some motorcycle accident injuries can prevent a person from returning to work, which can result in financial losses and other hardships. Victims of motorcycle accidents deserve to be fully compensated for their injuries, and that is our goal here at Hauptman, O’Brien, Wolf, and Lathrop, P.C. All motorcyclists in the state of Nebraska are required to wear a helmet while riding. Due to the violent nature of a motorcycle accident, many motorcyclists hit their head at some point during a crash. This can cause head injuries such as a concussion, and in serious cases, a biker can hit their head so hard they are left with lifelong brain damage. Wearing a helmet is the only chance that a biker has a minimizing the risk of sustaining a serious brain injury in an accident. A motorcycle accident can toss and jostle a biker’s body with great force. Often, when a human body is tossed from a motorcycle at high speeds, the spinal structure can become damaged. Injuries such as a fractured vertebra, bulging discs, and severed spinal cords are common in motorcycle accidents. In a study conducted by the National Institutes of Health, 11.2% of riders who are involved in an accident sustain a severe spinal cord injury. Road rash is almost certainly the most common injury that motorcyclists sustain in accidents. Road rash can vary in severity and is classified in three degrees. First-Degree Road Rash – This is the least severe degree of road rash. It is classified as not serious and usually does not require medical treatment. Second-Degree Road Rash – This is classified as road rash that breaks the skin. If serious enough, second-degree road rash may require a medical examination and can usually be treated with over-the-counter medications. Third-Degree Road Rash – This is the most severe degree of road rash. This degree of road rash classifies a breakage of all five layers of skin exposing fat and tissue. Victims of third-degree road rash usually require immediate medical attention. If a loved one has perished in a motorcycle accident due to no fault of their own, you need an experienced attorney to help pursue justice. Our motorcycle lawyers at Hauptman, O’Brien, Wolf & Lathrop, P.C. understand that we cannot heal the pain of losing a loved one. One thing we can help with is recovering compensation to help your family move forward. Every motorcycle rider in Nebraska is required by law to wear a helmet. This law is in place to help prevent the chance of a rider sustaining a brain injury and dying in a motorcycle accident. Every motorcycle needs at least one, and not more than two headlights. Every motorcycle needs a brake on at least one wheel. Every motorcycle needs a horn that is securely mounted and can be heard from at least 200 feet. Every motorcycle needs at least one mirror. The aspect of driving a motorcycle that will protect a rider the most is driving defensively. While riding your motorcycle, be cautious around larger vehicles and stay out of blind spots. When changing lanes or preparing to turn, be sure you have plenty of room around you. As a motorcyclist, you will not be able to control the vehicles around you from causing an accident, but you can take steps to protect yourself from sustaining a catastrophic injury. The easiest way to do this is by wearing the proper gear while you ride. All of the above can help reduce your chances of sustaining a serious injury in a motorcycle accident. However, nothing is guaranteed, and even the most quality protective gear can’t prevent all injuries. If you or a loved one has been involved in a motorcycle accident in Nebraska, contact us so we can ensure that you are treated fairly throughout the claims process and receive the compensation you deserve. At Hauptman, O’Brien, Wolf & Lathrop, P.C., we take the time that is required to understand how your accident happened and how it has impacted your life. We will take on the insurance companies, investigate your accident, establish liability, and work very hard to ensure you are fairly compensated for your injuries. Your initial consultation with us is free. During this consultation, we will listen to your concerns, assess your case, and advise you on what to do next. If you or a loved one has been affected by a motorcycle accident in Nebraska, contact us now. Always speak with one of the personal injury attorneys at Hauptman, O’Brien, Wolf & Lathrop, P.C. before you speak to any insurance company. They are used to dealing with people without legal representation, and they are NOT on your side. If there is a personal injury claim by you against their client, they will offer you much less than you are entitled.